Both posts point to a vigilance we must maintain to succeed. I’ve been preaching this view for a long, long time. Doing BIM isn’t for the lazy or complacent. In my third blog post ever (on Shoegnome from July 2010), I wrote about the Endless Path of Improvement; it’s a topic I return to often. We never get to stop learning and improving. Obvious enough. But we can also never be satisfied. 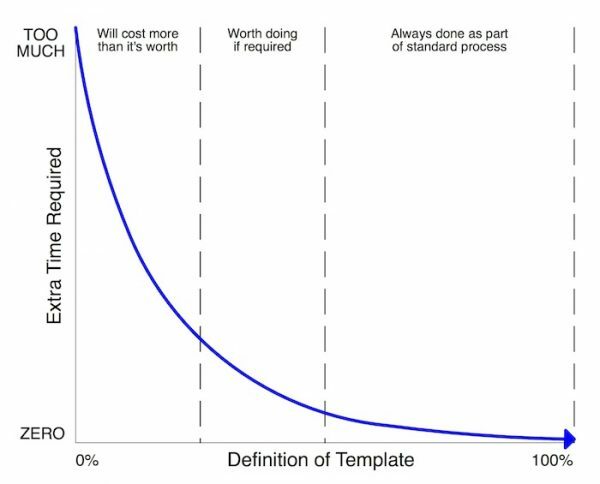 We must always make sure that doing BIM continues to add value. We must remember that as ARCHICAD continues to improve, old ways decrease in value and classic obstacles vanish. We must always question our methods and never assume we’ve reached the perfect solution. 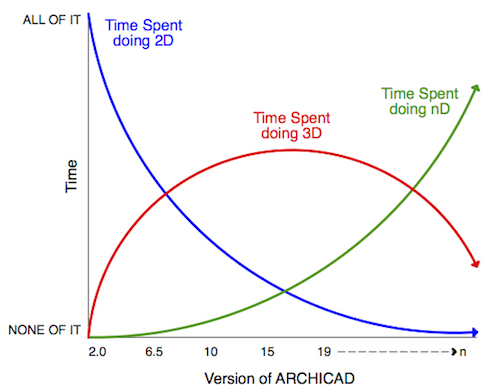 ARCHICAD isn’t the same program as it was when we started using it, so we can’t treat it that way. New ARCHICAD, New Windows OS, New Mac OS, repeat. I’ve thought a lot about beautiful drawings; it’s one of my favorite topics for both articles and lectures. In fact, I just got back from the GRAPHISOFT North America 2017 BIM Conference where I spoke on Automatic Beauty (more on that conference in my next post). I love figuring out ways to get ARCHICAD to produce beautiful output. Whenever discussing beautiful output from ARCHICAD, we need to step back and remember that Beauty is Third. Pause for a moment and read (or reread) James Murray’s article on this topic from 2006; it’s a post I return to regularly. Before we can fret about beauty, we must first tackle accuracy and completeness. We care about all three, but must first focus on accuracy (can I even model the correct size wall?) and completeness (am I showing all the layers within the wall?) before worrying about beauty (is the information I am describing accurately and completely shown in the most beautiful way possible?). The transitions from focusing on accuracy to completeness to beauty aren’t discrete breaks. The shifts are more about primacy of attention. Like the diagram below, we tackle all tasks at once, but put most of our effort into one thing at a time. For a long time I wanted to rewrite James’ post as Beauty is Fourth, because automation is more important than beauty. But then it was hard to decide where automation fits in. Is it better to be automated or complete? Automated or accurate? And then I realized automation is the thread that connects all these goals. Automation is what allows us to break the paradigm of “here’s three choices, pick two.” Increased automation allows us to master accuracy and completeness so that we can focus on beauty. And then automation allows us to transform beauty from a primary task into a secondary task. That is the magic of ARCHICAD. Shifting things from primary to secondary to tertiary tasks. Once upon a time we had to coordinate detail locations. Once upon a time we had to check that our elevations matched our plans. Once upon a time we had to worry about line weights and hatch pattern uniformity. Once upon a time we had to set aside enough time to do a rendering or a pochéd plan. 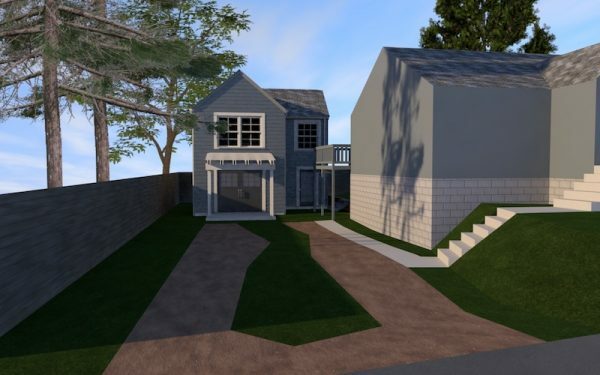 I’ve spent a lot of energy over the years creating creating presentations directly from ARCHICAD. At first, I was competing with old methods and other programs, trying to prove that ARCHICAD could do whatever we needed. I was fighting to dispel the myth that BIM can’t do pretty drawings. Early on you’ll find me arguing for line weight = color. I went on rants against people who used black lines because I thought they were removing a valuable layer of information from their work (they were). Those arguments however were in service of mimicking ancient methods of production. Then I progressed. I spent a post trying to work around a problem with Building Materials and graphic output in sections. I had a lot of clever solutions. Then I realized (thanks to advice from an astute reader) that uniform line weights for sections solved a huge stumbling block with building accurate models. I was moving away from playing by the old rules. At that time I still disregarded colored sections, thinking that color didn’t offer much over grayscale. It wasn’t long before I changed my tune again. Color = line weight was archaic. Building Materials offered the chance to reclaim color and increase the legibility of our drawings. It also encouraged the use of digital tools for communication (color PDFs and BIMx files are cheaper and more legible than color prints). Below are six blog posts (of many more) that span over four years. They are all searching for the same thing: beautiful, effortless drawings. Over time, I learned new techniques, gave up old habits, and ARCHICAD continued to improve, offering me new and better ways to automate. Back in 2012, I wrote the article Evolution of an Elevation in which I showed how we can have colored elevations with zero effort. It’s a wonderful technique, but one I hardly used until very, very recently. 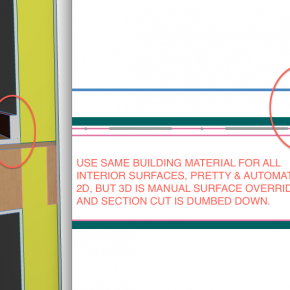 ARCHICAD Elevations: turning on and off color explains why. While technically possible in 2012, the technique wasn’t automated enough to be valuable on a typical project. 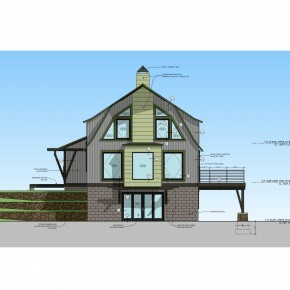 I now do full color, completely live, and noted elevations (and sections and interior elevations and plans…). My first color elevations in ARCHICAD were actually done in ARCHICAD 10, back in mid-2006. I used Pen Sets to test out color changes on an elevation. It was primarily 2D, manual, used lots of workarounds, and was fairly limited. It was my first foray into the power of Attributes and alternate uses for ARCHICAD’s tools. I used this method only two or three times because it was so cumbersome. From that initial exploration, I continued to improve how I handled elevations, continuously testing new ideas. Some decisions were temporary fixes. Some were dead ends. Others I continue to use to this day. Throughout this exploration my drawings were getting better and more automated. I had higher quality output and I was spending less time on creating that output. In fact at some point I stopped paying attention to the graphics of the drawings. I had reached a point where if the model worked, the drawings worked. Always. I still investigated ways to improve the quality of my drawings, but while working on a project the amount of time I spent fixing, tweaking, tuning, or fussing with the drawings approached zero. 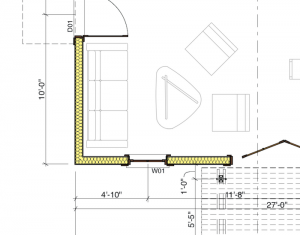 When I was adding annotations (more like turning ON annotations thanks to the more powerful Label Tool we got in ARCHICAD 19), I might add a few dashed lines or minor fills to fix some weirdness. But these additions were done once at the very end. They weren’t something I needed to manage through the life of the project. And as the models got better—because I was focusing more on them than the drawings—the drawings needed less and less fixing. I was also less bothered by what minor imperfections remained. I understood that slowing down to fix something no one would notice or be affected by was a waste of my time. I learned that not every graphic error mattered or needed fixing. By automating the 2D graphics and putting them secondary to the 3D model, the 2D improved faster than if I’d continued to focus on the 2D. That’s one of the big secrets of BIM. By letting go of the drawings, they get better. WAY better. And easier. WAY easier. And faster. WAY faster. This journey is a progression from manual to automatic. It’s not a one step process. 100% manual to 100% automatic. It’s a constant and eternal evolution. We start in the world of manual work (hand drafting) and move towards automatic work (AI doing our bidding). We are currently in the semi-automatic realm, diligently pushing further towards fully-automatic. Let’s end this post by taking stock of where all of these explorations are right now, around March 31st, 2017 using ARCHICAD 20. In another few years I’ll do another recap post and see how much farther we’ve come. I’m confident some of today’s brilliant ideas will be superseded by forthcoming ARCHICAD features. The images below represent about 25 hours worth of work. Seven to measure and create the as-builts and eighteen to develop the schemes to this point (along with many other failed plans). 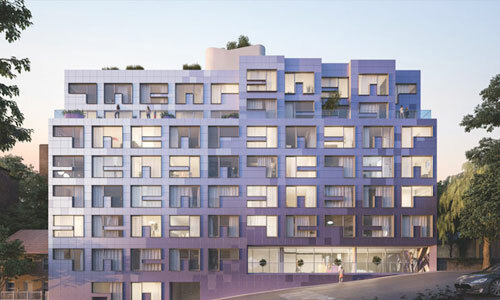 Each scheme consists of a front elevation, a schematic 3D model, and two pochéd plans (see plan earlier in this post). I really like these images because they are under-developed, but in a good way. There’s enough information to spur discussion, but not so much as to ossify the design. 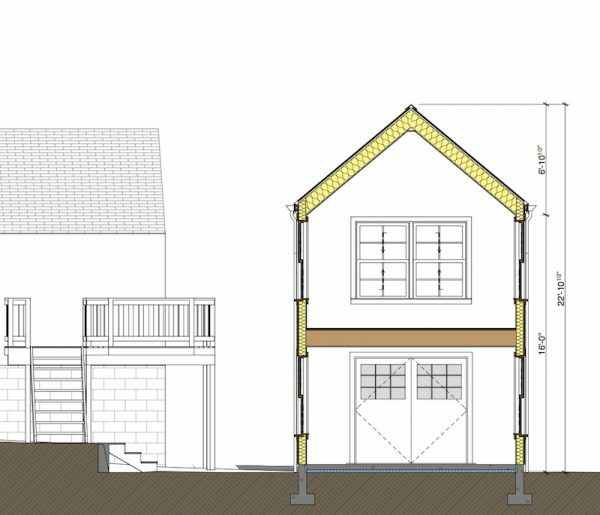 I could add a bit more detail (what the client saw in the schematic meeting had about an hour’s more work done to develop some shading options over the front deck), but it’s really unnecessary. The images below represent about fifteen hours of work. 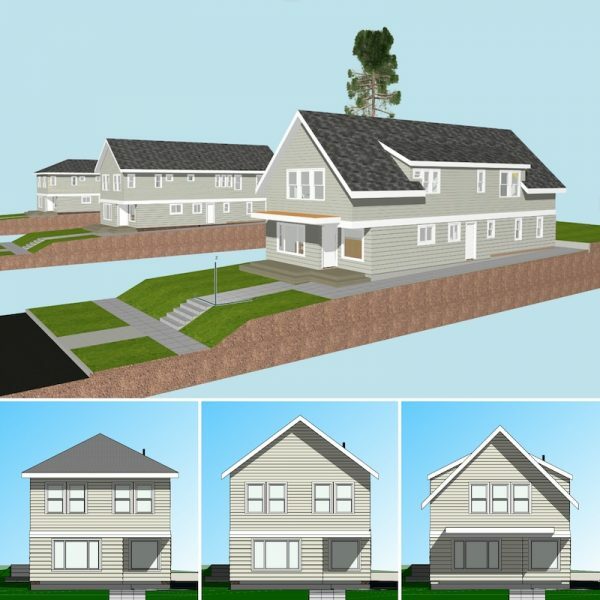 In addition to these two images, there are additional sections, all four elevations, and both floor plans of the backyard cottage (see first image in this blog post). These images are possible because the graphics—in 2D and 3D—are figured out and automated. Other than the time spent laboriously measuring and modeling the existing conditions, all of my time was spent on design. When I meet with the clients in a few days to show them my work, I’ll save out some PDFs with the right Layer Combinations and Graphic Overrides on and be ready to present. Or I might not even bother creating those PDFs, instead presenting live from ARCHICAD. I’ve worked more on both projects since I saved these images. The designs have developed and improved, meaning the drawings look even better. The desire to replace the images with newer versions is strong. But I’ll resist. Each image shared is uniformly developed and legible. And that’s the point. With all these images, I encourage you to look closer and find all the flaws and imperfections. What you’ll find are design errors and omissions; holes caused by unresolved design, not incomplete graphics. This is what you should expect to find this early on in a project—just like you’d find the design failures in a hand drawn section, elevation, or plan at a similar point in the project. The difference of course is that with each tweak to the design, the ARCHICAD model (and drawings) get better and no effort is wasted. Are we automating beauty to save time on one project or a hundred? Remember, everything comes back to templates. Find an automated solution and integrate it into your template. Add automation across all projects, not just one. Think about it this way: the graphics in my sections are automated. The color comes from Building Materials and the uniform line weights come from Graphic Overrides. As long as I follow my template and systems, I NEVER have to ever worry about how lines and fills in my sections will look. NEVER. EVER. For the rest of my career (decades, probably), I never have to spend any time on any project fussing with linework and fills in section. Just like I no longer waste time making sure the plan and elevation match. Or that the drawing numbers match the detail markers.